There is nothing worse than drinking terrible chlorinated water and if you are buying big five gallons water jugs from the grocery to avoid the situation, then you are certainly an ill-fated person. What’s’ more, if you have installed a complicated under-the-sink-filtration system at home, then you have to forget the wish of drinking a tall glass of pure water with crystal clear look. However, if you are thinking to change the circumstances and wondering how it can be possible? You should look at the Culligan FM-15RA advanced faucet filter kit because it will wipe out all these problems and will make your wish a reality. 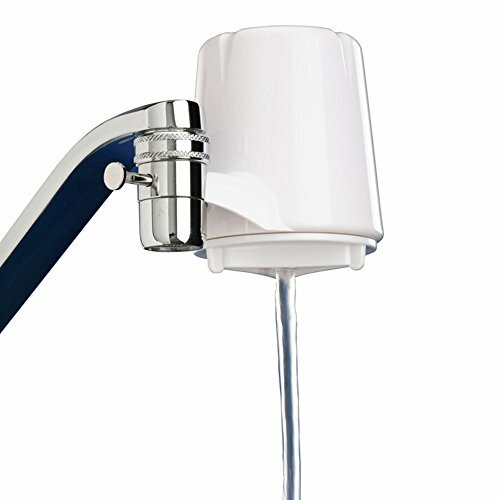 So, let’s explore the review and be acquainted with this unique water filter. What Is Culligan FM-15RA Advanced Faucet Filter Kit? It is advanced water faucet-mount unit from the ‘Culligan’ that enhances the quality along with the taste of the water and it reduces the level of lead, sediment and the bad taste plus odor from chlorine as well. Blessed with ‘Carbon’ water filtration technology, it utilizes the level-3 advanced filtration system to protect the water of your home. You will be required to attach this filter to your faucet and the results will come automatically. Additionally, Culligan FM-15RA is an economical filter that is priced at only $21.74 (Amazon.com). Therefore, you will be experiencing the pure waters at an astoundingly cheap price. After buying the Culligan FM-15RA, I got a user manual guide/installation guide and I read it for extracting the detailed instructions. However, I didn’t face any trouble while installing it because the whole process was an easy one. First, I had to unpack the box and figured out the rubber grommets along with the threaded attachment doohickey. Next, I connected it to all the faucets of my home and was keen to find out the on/off switch that would be going from the tap water to the filter and back. It was a necessary thing because I wanted it to be switched back to tap water automatically. At that point, it was ready for some action. Therefore, I decided it to run for about 10 minutes on ‘Filter Mode’ to exonerate the carbon grounds. So, in the simplest way, I was able to install and thus, enjoyed pure waters from my tap. Now, you are thinking that is it really possible to remove all these harmful elements from the tap water? Does the product really perform at a high level? If you ask me these questions, then I would simply say YES! When I used this water filter the level of performance, that I got, was outstanding. I compared two glasses of water with one being filled before installation and the other being filled after running the filter. I was amazed to see the clean water at the second glass compared to the first one and when I drank it, I said to myself WOW! Why did not I buy it before? To add to the fact when I saw the NSF certification of the product, I was more than assured that I had brought the right one. Besides, I got regular emails from the company to change the filter and there was an alerting sticker that always reminded me to change it as well. So, I am assuring that you will get amazing performance from Culligan FM-15RA. At the time of using this water faucet filter, I was saying to myself that ‘Thank God! I have the best filter in my home to get clean and pure water’. On top of that, it’s very easy-to-use because it contains a valve for starting the filtration process of water. Besides, I was able to switch between the filtered and unfiltered water while running the filter and it was a nice option to have. One thing, which I noticed from my observation, was that the water pressure held the switch in filtered position and when I shun the water, it regained it natural unfiltered position. To add to these facts, another issue, which got on my head, was the durability because the filter lasted for two months (200 Gallons). So, I found great ease while using Culligan FM-15RA. It can remove the bad taste and odor. It enhances the water quality of the tap water. It has on-tap convenience for easy use. You will not require any tools to install it. It is tested and certified by the NSF. The filter works on the ‘Carbon’ water filtration technology. It will protect you by the level-03 Advance Filtration system. It is very easy-to-install and you can start filtering by pulling the diverter tab. The life of the filter is of two months or 200 gallons. It has two-year warranty and it is very durable in nature. The water flow is at 0.6-gallon-per-minute, which is very slow compared to other NSF tested filters. It is not suited to all system as it works perfectly on domestic or family kitchen. In conclusion of the review, I would definitely say that it is one of the finest faucet-mount units because it has the combination of durability, economical price, small annual filter cost, and an elongated filter life. All of these things make it an exciting product with great value. You will love and enjoy the taste of the water that is filtered by Culligan FM-15RA and thus, it will make your wish granted. So, buy it and drink pure water!